It is a dream of every woman to have beautiful long hair and no one wants the greying to appear on her beautiful hair. But this requires especial hair care. 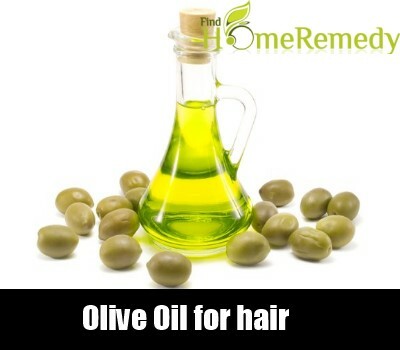 Here we are going to learn few hair care tips which can be done at home with the help of tea tree oil and olive oil. You must have seen lately many beauty and cosmetic products using tea tree oil, but have you ever tried to find out what the benefits of tea tree oil are and why it is used in them. The anti viral, anti fungal and anti bacterial properties of tea tree oil makes it a vital ingredient of these beauty products. 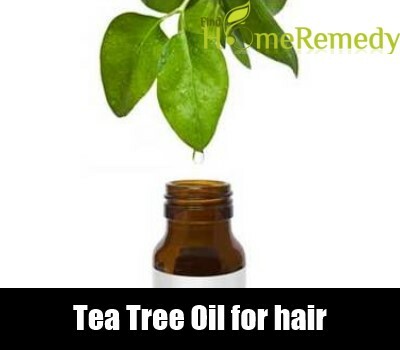 Regarding hair care , you will amazed to know that tea tree oil is one stop remedy for curing common hair problems like split ends, dandruff , itchy scalp etc. Tea tree oil makes the scalp strong and fit by moisturising it and thus in turn the hairs also become stronger and healthier. The anti fungal property of tea tree oil is very useful in preventing dandruff to grow on our scalp, thus keeping the scalp healthy and helping us to get rid of dandruff. The only thing you have to do is just massage tea tree oil on your scalp one hour before washing your hair and this will remove all the scalp problems like itching and dryness of the scalp. Massaging will give the protection from fungal growth as well as increase the blood circulation in the scalp too. Thus it is the most effective remedy to say good bye to dandruff and scalp problems. The anti fungal property effectively works towards protecting the scalp from any such problems. Since we very well know that tea tree oil has moisturising properties, it can be best combined with shampoo and used for best hair care. The most efficient combination of shampoo and tea tree oil can be bought from any cosmetic shop as over the counter product. 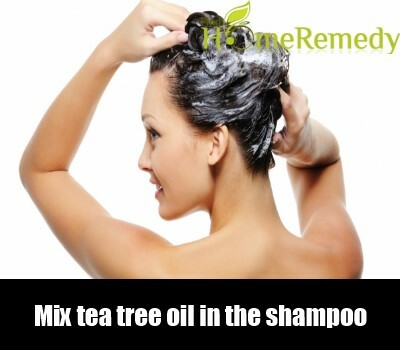 If you have tea tree oil at home then you can mix some in your shampoo to get the desired results. This will not only help you in getting rid of dandruff, but it will repair the damaged hair also thus promoting good hair growth on your scalp. 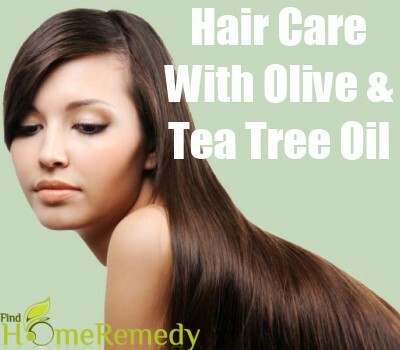 Thus tea tree oil is very good and effective way to have beautiful and shiny hair. Generally when we get up in the morning the hair are all tangled and messed up. It is really a pain to tame then and comb them too. 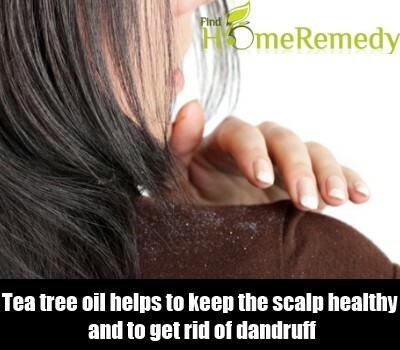 But tea tree oil is the best solution to control those messy strands. You just have to take few drops of tea tree oil in your palm and rub both the palms together, so that the oil spreads on your palms and now apply this oil on the untamed strands. This can be used both for straight as well as curly hair. If you want that perfect clean look with your hair then take some more tea tree oil and rub it on the strand and start applying from the tips of the frizz towards the root of the hair. You must have seen that olive oil is used for cooking, but it must be a bit shocking for you to hear that it can be sued to get healthy hair too. Do not be amazed, if it can be sued to enhance the taste of your salads as dressings it can be best used for treating hair for controlling dandruff, dryness and hair damage. You just need to use it as a part of daily hair care routine just like any other hair oil and see how the scalp gets moisturised and you get nice hair growth on your scalp. So just let us check out how olive oil can be of some help to us. There are multi benefits attached with olive oil when it is used regularly for hair care, it magically transforms your dry and dull hair into moisturized, shiny and without any frizzes. All you need to do is just ditch your regular hair oil and instead start using olive oil. Just heat half cup of olive oil in a microwave and do not boil it or over heat it otherwise it will lose its qualities and might damage your scalp. If you want make it more beneficial for hair then you can add some rosemary oil or fresh rosemary into this heated olive oil. If you are using fresh rosemary then you can crush them with the help of mortar and pastel and then add them to the olive oil and heat it for a while. 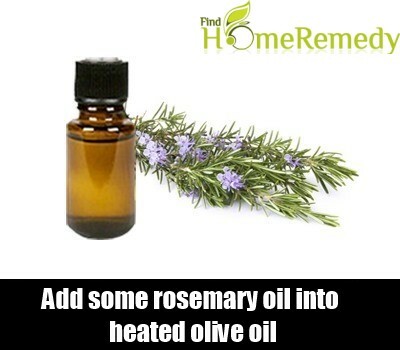 This will release all the natural oils in the rosemary and before using it on your scalp just strain it. This will not only make your hair healthy but add shine too to your hair. The right way to apply this mixture of olive oil and rosemary oil is from root hair to the tip of the hair. Or the best way to let all the hair get the benefit take some oil between your palms and rub both the palms and them start rubbing the hair with your fingers. This will give a nice massage to your hair and all the hair will get coated with oil. This mixture is best for treating damaged and dry hair and if possible then take a steam by wrapping a hot water drenched towel around your hair and after 30 minutes wash your hair with shampoo. You will be amazed to see the shine and lustre which your hairs have now. 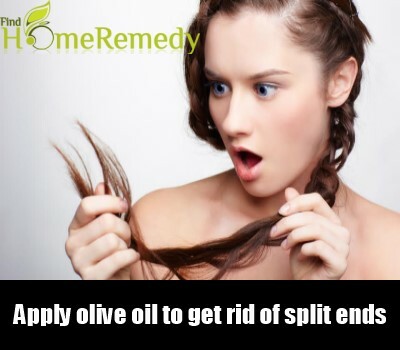 In order to treat the split ends just apply some olive oil to the tips or the ends of the hair and in order to tame those frizz this is the best method use olive oil on your hair , the moisture content of the oil will make them smooth and frizz free. 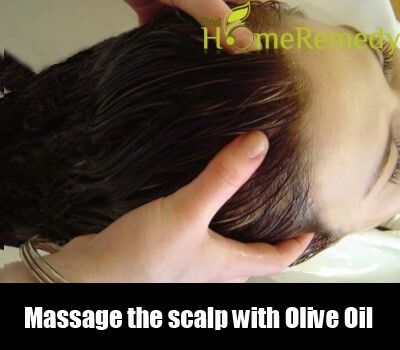 If you feel that your hair scalp is getting dry then just massage some olive oil on the scalp only with your finger tips and just see how the blood circulation enhances in the scalp and this will in turn enhance hair growth and decrease hair loss. If there is itching on the scalp or dandruff problem then mix few drops of tea tree oil in olive oil and then massage the scalp. After the massage give steam to your hair by covering the head with hot towel or plastic bag. This will clean your scalp and open the clogged pores of the scalp, thus the scalp will be able to breathe nicely.